WARRIORS star Knowledge Musona shone for his Belgian club Sporting Lokeren as he scored a beautiful goal to help his side earn a 2-1 win over Royal Antwerp. 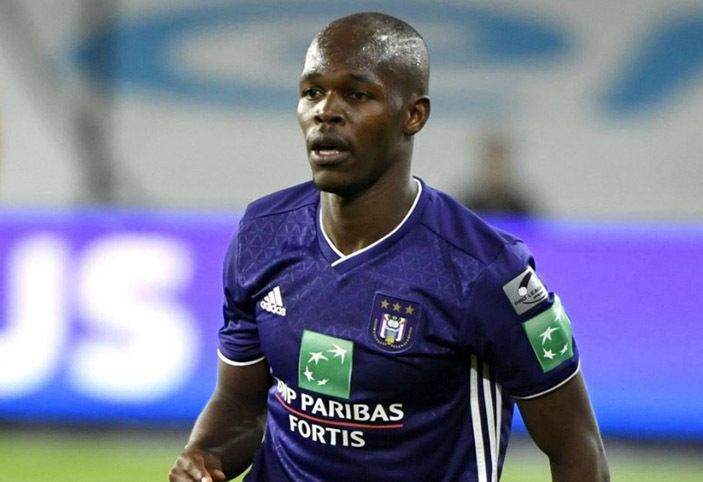 Musona, who is on loan from Anderlecht, gave his relegation threatened side the lead in the 32nd minute to help secure their fourth victory of the season. Lokeren described Musona’s strike as a ‘handsome’ goal on their Twitter handle. “We come on a deserved lead after a handsome goal by Musona,” they tweeted. The Smiling Assassin’s form excited Warriors manager Wellington Mpandare who said it’s encouraging the captain is bag amongst the scorers. “It’s very encouraging that Knowledge is back and in form and scored a beautiful goal. “It’s unfortunate that he was unable to play since his move because he had chickenpox but when he finally started be scored a beauty. “He is our top goal scorer and captain so it is encouraging that he is back in form,” he said. Mpandare also hailed the scoring form from the other Warriors players. “Evans (Rusike) scored, Mtizwa (Knox) scored, Tino (Kadewere) assisted, it’s all looking good for the Warriors and we look ahead to the AFCON game and hope they come and finish off the job,” he added. The Warriors captain struggled for game time at Anderlecht with the loan move a relief ahead of the last AFCON qualifier on March 24.